The Presbyterian Church through its participation in One Great Hour of Sharing passes on resources from each of us to many in heartrending need of help. 3. SELF-DEVELOPMENT OF PEOPLE: Invests in communities experiencing poverty or hardship to develop solutions to their own challenges. Thanks to your contributions, One Great Hour of Sharing is currently supporting programs in over 100 countries, including the United States. The offering, which we is collected on Palm Sunday, provides us a way to share God’s love with our neighbors in need. In fact, One Great Hour of Sharing is the single, largest way that Presbyterians come together every year to work for a better world. In gratitude for all that we have and for God’s love and grace, give as generously as you can. Christians observe Pentecost as the time when the gift of the Holy Spirit “descended in a mighty rush of wind and flame” on Jesus’ Disciples, and then to all believers, empowering them to His mission in the world. Pentecost reminds us of the power of living each day with God’s presence in our lives through the gifts of the Holy Spirit, directing those gifts to the needs of others in the community. In a personal way, it is also a time to honor Christ’s sacrifice by demonstrating the fruits of the Spirit, such as love, joy, and peace. The Church is central to God’s work in the world and CCPC is a very generous congregation with many examples of the Holy Spirit at work. 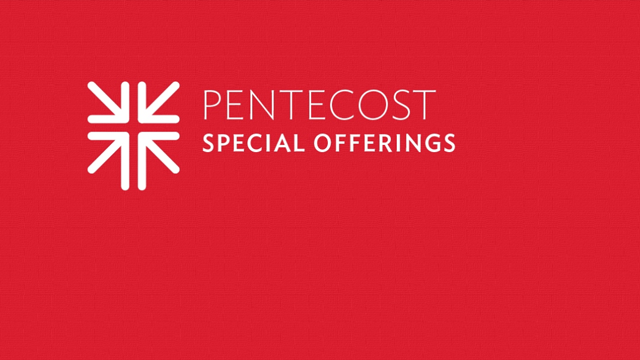 A gift to the Pentecost Offering helps the church encourage, develop, and support its young people, and also address the needs of at-risk children. 40% of the Pentecost offering can be retained by individual congregations wanting to make an impact in the lives of young people within their own community. In 2018 CCPC used it's portion of the Pentecost Offering to support the employment and training programs of Jubilee Jobs in DC and of Interfaith Works’ Vocational Services Program in Montgomery County. The remaining 60% is used to support ministries of the Presbyterian Mission Agency. 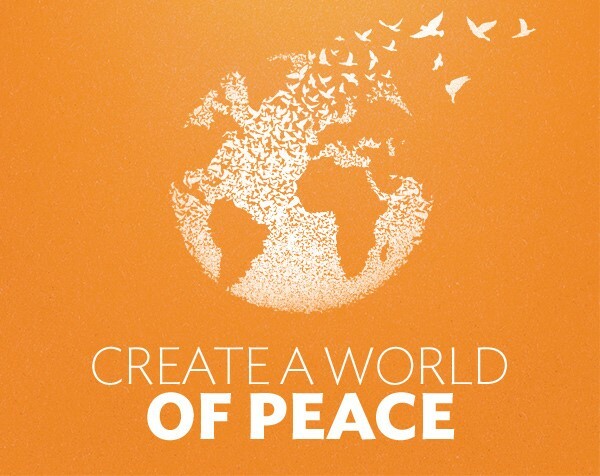 The annual Peace & Global Witness offering supports the peacemaking efforts of the church. It gives us the opportunity as Christians to provide a tangible witness to God’s peace in the community and the world. Each year, 25% of this offering is directed to help the work of a local peacemaking organization. Our 2017 local offering was given to support Sasha Bruce Youthwork (sashabruce.org), whose mission is “to improve the lives of runaway, homeless, abused, and neglected at-risk youth and their families in the Washington area. The Peace & Global Witness Offering also enables the Presbyterian Church (USA), at the national (50%) and the National Capital Presbytery/Mid-Atlantic Synod (25%) level to promote peacemaking and reconciliation. These funds will address systems that perpetuate violence, such as through the PC(USA)’s Freedom Rising initiative – a churchwide effort to address the worsening plight of African American men in our culture. The initiative includes pilot programs in 5 cities to curb persistent problems experienced by African American males, such as high unemployment, mass incarceration and substance abuse. Giving gifts is a dominant part of the Christmas season. We especially remember God’s great gift of love to us when he sent our Savior, Jesus Christ, to live among us. In response, we too are eager to give back to Him and spread that love. Part of our Christmas sharing as Presbyterians is the Christmas Joy Offering. 100% of the funds collected will be distributed to PCUSA and divided between the Assistance Program of the Board of Pension, schools and colleges equipping communities of color, and leadership development for people of color. Half of our annual offering allows the national church to stand with our pastors and other church workers in their hour of need. The need for church workers and their families is real and growing. The Presbyterian Board of Pensions provides critical financial assistance to eligible active and retired workers in the Presbyterian Church USA and their families. Those funds help church workers with urgent financial needs, retired church workers with financial and housing needs, and pastors with vocational leadership needs. The other half of the Christmas Joy Offering provides scholarships and some basic operating costs to five Presbyterian-related colleges and one college preparatory school whose major emphasis is serving students of color. These institutions have provided quality education to people who have contributed immeasurably to the church at large and to the world. Students are educated for the professions of their choice in an environment which supports and nurtures racial and ethnic heritage. Many of the college students are the first in their family to attend college and come from low- to moderate-income families.